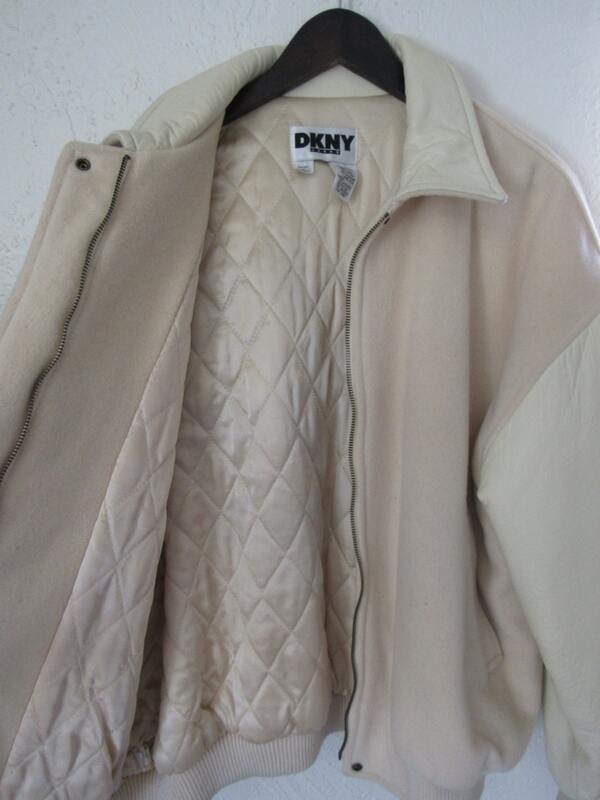 Vintage 90s Light pink and cream Ripon wool & leather varsity letterman's jacket from all star brand DKNY. One Snap front and zipper with wool light pink body and cream leather sleeves, pink quilted lining. 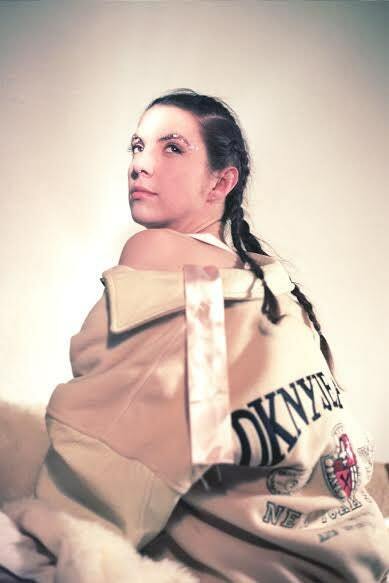 Large DKNY patch on backt. 2 open slit front pockets. Beautiful vintage condition. 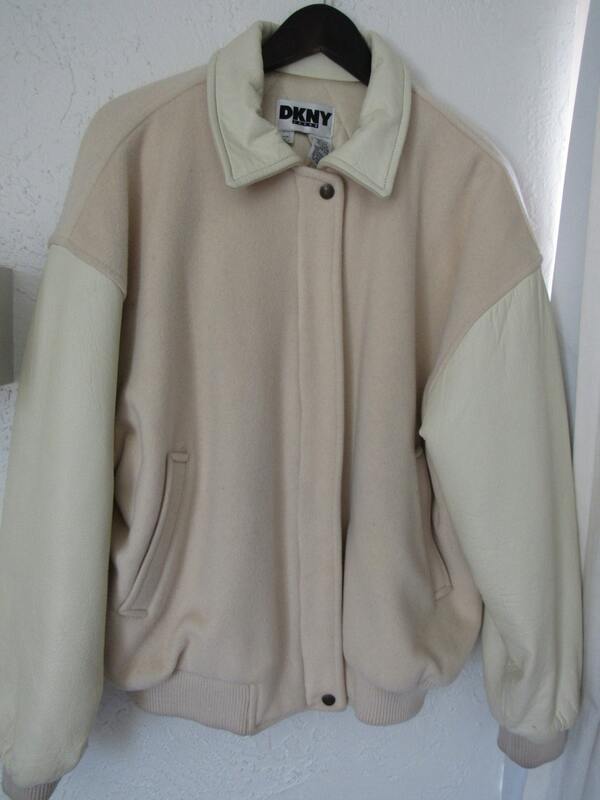 Jacket shows no pilling but has a small, faint stain on back shoulder. No holes, tears, or rips. 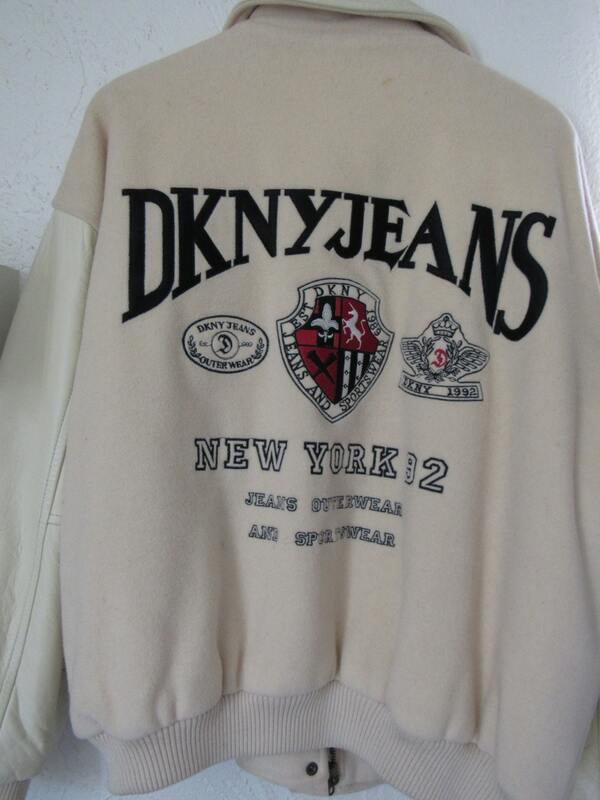 This is truly a classic look in very great vintage condition. Comes from a smoke free home.